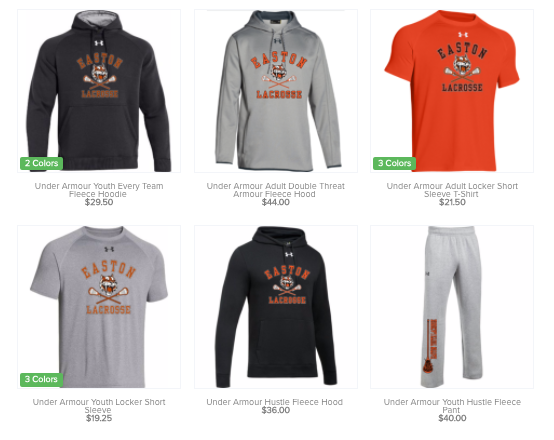 Easton Tigers Youth Lacrosse NEW Online Store! 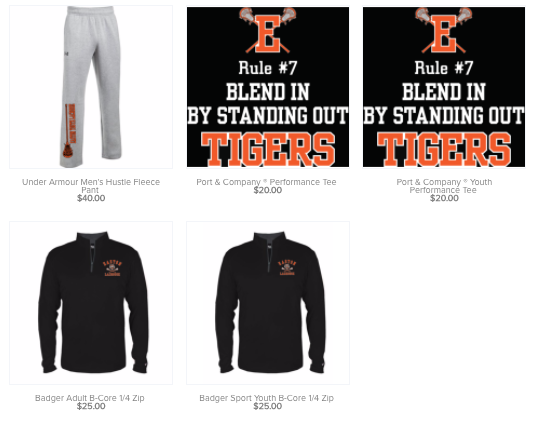 Looking for more Easton Tigers Youth Lacrosse swag? Is your daughter looking for a bag to carry her lacrosse gear? Thinking about staying warm at those spring lacrosse games? 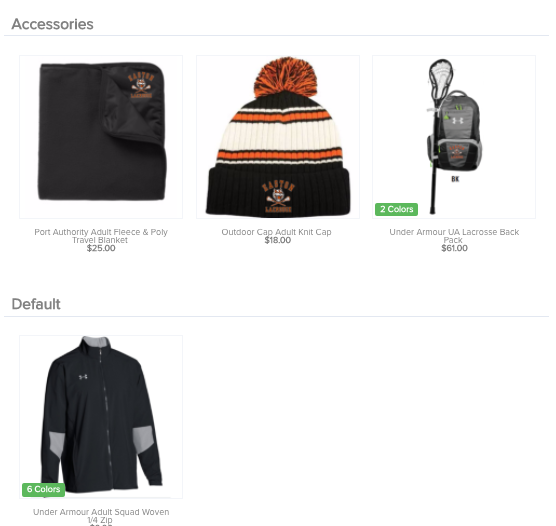 Check out our online store by clicking on Piesco's Sporting Goods!